Two D–A compounds were designed and synthesized from 2,6-dimethyl-4-pyrone and carbazole compounds. Both of them exhibited unique fluorescence properties in the aggregated state. Red shifts of the spectrum of 102 nm and 130 nm were observed for BCSP and CSP on changing the solvent from n-hexane to N,N-dimethylformamide (DMF), viz. solvatochromism. This phenomenon induced by the intramolecular charge transfer (ICT) effect was confirmed by density functional theory calculations. Interestingly, they both displayed excellent blue-shifted mechanochromic behavior, which was investigated by powder x-ray diffraction (PXRD) analysis. The results of this study provide a new avenue for the design of organic mechanochromic materials that exhibit a blue-shifting chromatic trend. Based on the unusual response of the solid fluorescence to external mechanical forces, we believe that these materials may be useful in various regards for potential applications. Dongqi Liu and Yuqi Cao have contributed equally to this work. 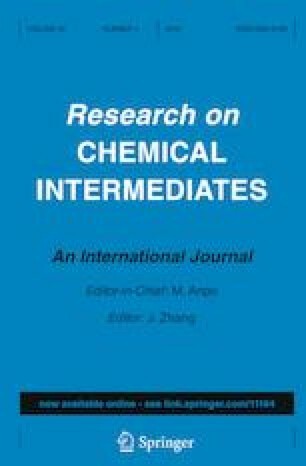 The online version of this article ( https://doi.org/10.1007/s11164-019-03742-2) contains supplementary material, which is available to authorized users.